Looking for a way to take your favorite eye shadow on the go? 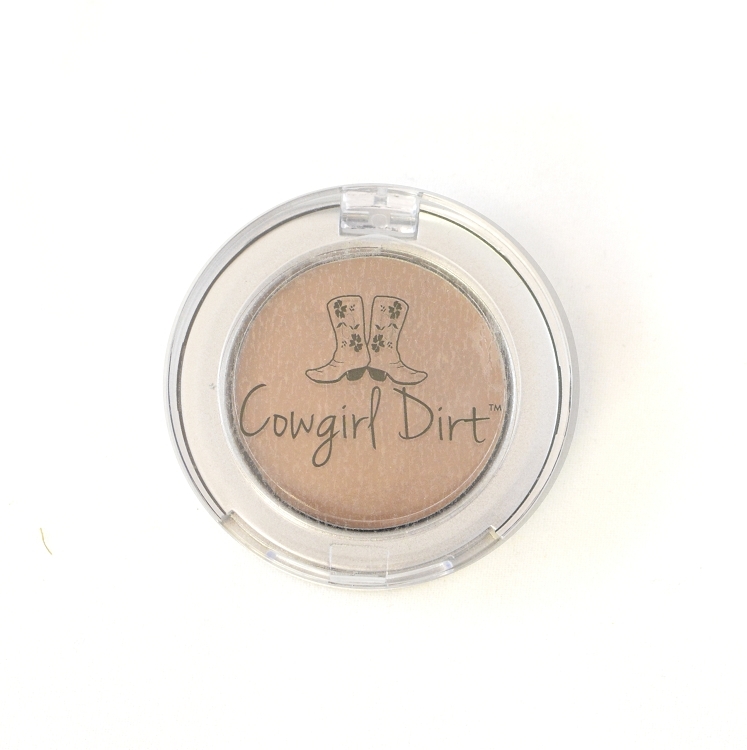 Try Cowgirl Dirt's Pressed Eye Shadow Singles for a stunning, smooth effect that will last all day and is easy to transport for every occasion. 2 gram compacts. I love this eye shadow! 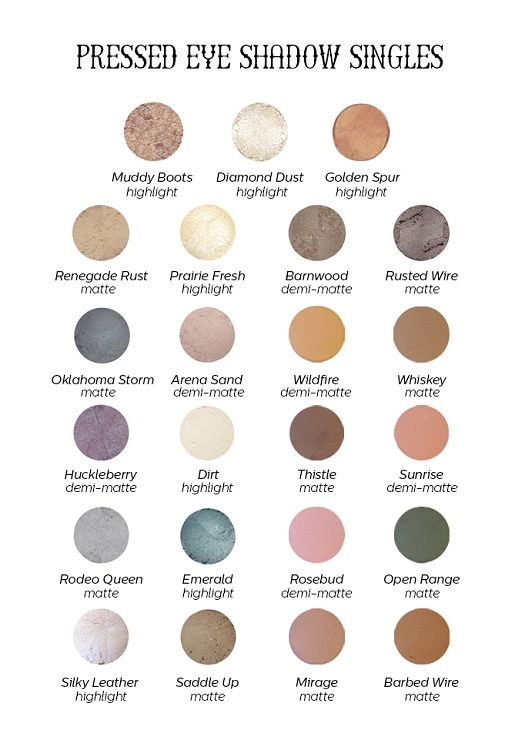 Prairie Fresh is a sparkly light ivory that I use as a highlight, and Mirage is a nice light, purplish color (matte) that accentuates my green eyes. I've loved both of those colors, and recently added to my small collection two more: Open Range is a lovely deep green (matte) that I've been using for dramatic evening "smokey eye" look and Huckleberry is a sparkly deep purplish color that coordinates nicely with Mirage, I've been wondering how I used just Mirage for so long! Highly recommend! Eye shadow arrived a little broken up but still useable. Nice, natural color. Perfect shade for my daughter. this is my favorite eye shadow from CD yet! They work perfectly. The only complaint I would have is that if you happen to tap on the side of the container too vigorously, the shadow does tend to break up. Although its absolutely fine if you don't tap it. My favorite colors are arena sand and silky leather. Color your eyes with only the best ingredients. Zinc Oxide: This natural UVA and UVB protection helps keep your skin healthy and protects you against damage from free radicals.